Even as Saudi Arabian officials continue to tout its shift to renewable energy, it may be oil-poor countries in the region like Jordan and Egypt that can benefit sooner from falling prices in solar power. Mills cited the bids in Jordan’s recent solar auction, which were just over 6 US cents per kilowatt-hour. 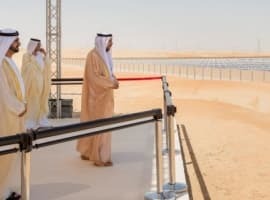 These were just slightly above the record 5.84 cents from Acwa Power last November for the 200 MW second phase of Dubai’s Mohammed bin Rashid Al Maktoum solar park. In general, the expert said, any country burning oil for power – including oil-rich countries such as Saudi Arabia, Kuwait, Iraq and Iran as well as oil-poor countries like Jordan and Egypt – should replace this with solar as much as possible. Egypt, as well as Kuwait and Dubai, could also save on imported liquefied natural gas by switching to solar, even though LNG prices have dropped sharply, he said. 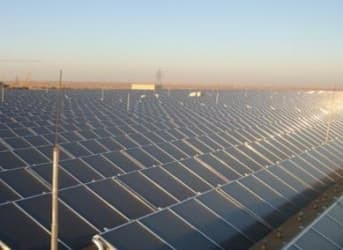 The prospects for solar in the Middle East-North Africa (MENA) region are even more promising than forecasted in Manaar’s optimistic 2012 study, “Sunrise in the Desert,” Mills said. The new evidence of plunging costs for solar in MENA come as Saudi Arabian oil minister Ali al-Naimi reiterated the kingdom’s plans to become a “global power” in solar and wind energy. The recent decline in oil prices won’t make solar power uneconomic, the influential official said. “I believe solar will be even more economic than fossil fuels,” Naimi told those attending the Business & Climate Summit at Unesco headquarters. With its previously announced plans to develop solar and wind power, Saudi Arabia hopes one day to be exporting “gigawatts of electric power” instead of fossil fuels. The 2012 report from Manaar, produced in collaboration with PricewaterhouseCoopers and the Emirates Solar Industry Association, identified half a dozen different ways various countries in the MENA region can benefit from increased use of solar power. For one group – Jordan, Morocco, Lebanon, and the northern emirates in United Arab Emirates – solar power can save on high-cost oil imports. In countries like Saudi Arabia, Kuwait and Syria, solar can free up domestic oil consumption for export. For others, like Dubai and Tunisia, it can save on high-cost gas imports. In short, solar has enormous benefits for nearly all countries in the region, even when taking into consideration their different circumstances. 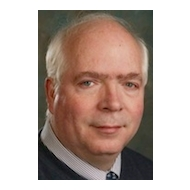 In his new article, Mills sees the region poised to enter a third generation of solar power development, after a first generation of heavily subsidized pilot projects and the current generation becoming the cheapest energy source on its own. 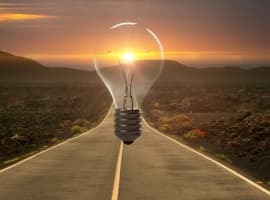 The third generation must address the problem of intermittency, he says – meeting the need for electricity outside periods of maximum solar output. 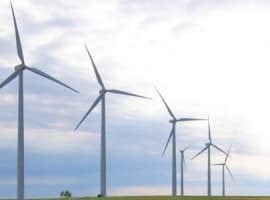 Possible solutions include grid interconnections with countries that have different demand patterns; energy storage, especially if there are further breakthroughs on battery costs; and better demand management. Another issue that needs to be addressed in the third generation, Mills said, is meeting the demand for desalinated water. This is currently dealt with by using the waste heat from gas-burning power plants. Possible solar solutions would use solar electricity to drive reverse osmosis plants or use the sun’s heat directly for desalination. Egypt has plenty of desert land and they can build lot of Solar Farms and reduce the Oil & Gas used for power generation. They can even export electricity to Europe. Naimi's comment about KSA becoming a "global superpower" in solar and "exporting solar" needs deeper analysis. Certainly they will benefit from converting their oil-burning power plants to renewables. And solar will gain a growing role as a % of new power capacity. But becoming a "global superpower" in solar requires major solar exports in either products, energy or technology. The solar products market is enormously competitive; and the commercial and political case for exports of electricity beyond the GCC or neighboring countries is also challenging. It will require an unprecedented program of well-designed investment in technology and human capital to achieve this goal. Possible, but very challenging. “I believe solar will be even more economic than fossil fuels,” Naimi told those attending..." True but the Middle East hardly has a monopoly on sunlight so no reason to expect the kind of economic stranglehold OPEC used to have with oil. If Germany can get to 100% renewables by 2,050, it's hard to imagine solar power in the Middle East having a huge impact.